Being healthy is always beautiful! 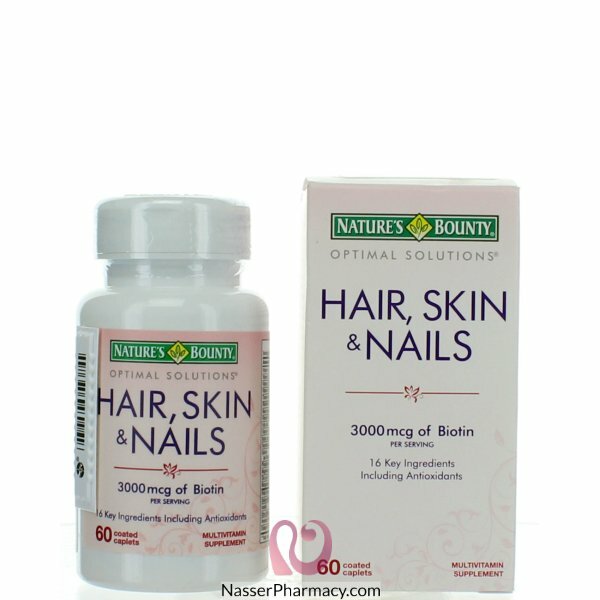 With Nature’s Bounty Optimal Solutions Hair, Skin & Nails formula, you’ll look good and feel great! It contains just the right balance of nutrients to help support lustrous hair, strong nails and vibrant skin. This innovative formula provides you with the vital nutrients your body needs to support your natural beauty from within. B Vitamins help with energy metabolism, and Biotin helps to maintain healthy hair. Vitamin E and Vitamin C are antioxidants. Vitamin E contributes to skin health, and Vitamin C is involved in collagen production and formation, which forms the basis for vibrant skin.